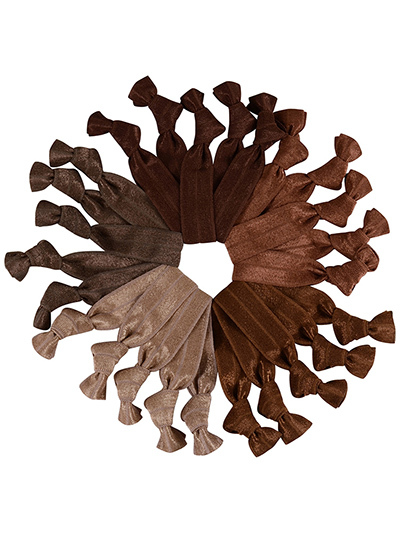 Brown hair ties mega set of 25 elastic knotted fabric ponytail holders. 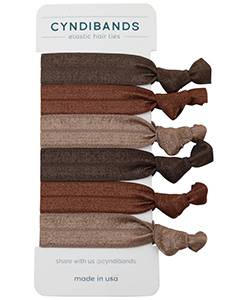 Get five each of our popular brown colors to match your hair color. colors include: coffee, chocolate, chestnut, cocoa, and brown sugar. 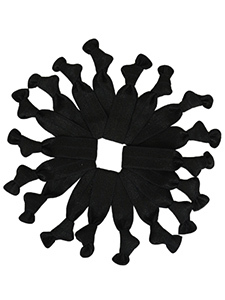 These ouchless hair ties are really good. 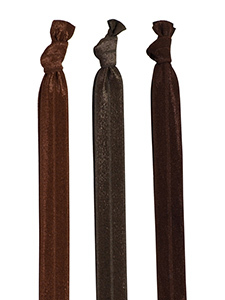 Don't tangle or tear your hair. Good quality - retain their stretch. I have fine hair and they stay in well.